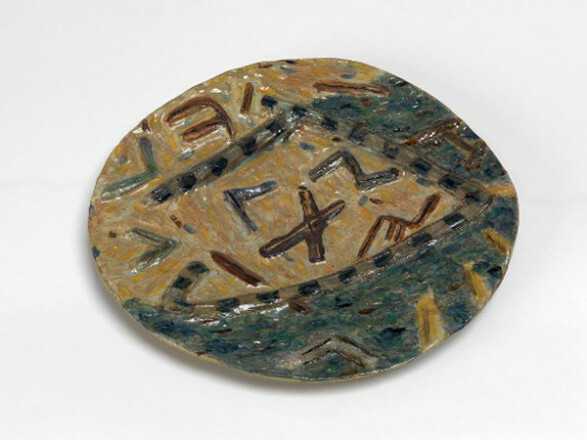 Suttie left school at 15 and went to London to become an actor deciding in the 1970s to become a potter instead and he joined the Ceramics course at Camberwell College of Arts and Crafts, London, in 1975. There he benefited greatly from contact with such contemporaries as Henry Pim, Sara Radstone and Ian Auld (the course director). He graduated in 1979 and after Camberwell, Suttie immediately trained as teacher at Whitelands College, Putney 1979-80 later becoming an inspiring teacher to his many students at Morley College, South London. 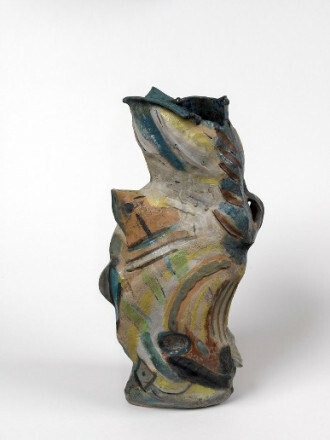 Apart from a brief investigation of the possibilities of stoneware in the mid-1980s he used a red earthenware clay body formed into slabs that he hand built, layered, distorted and re-formed then finished by using glazes, enamels and lustres to create highly coloured dramatic pieces. 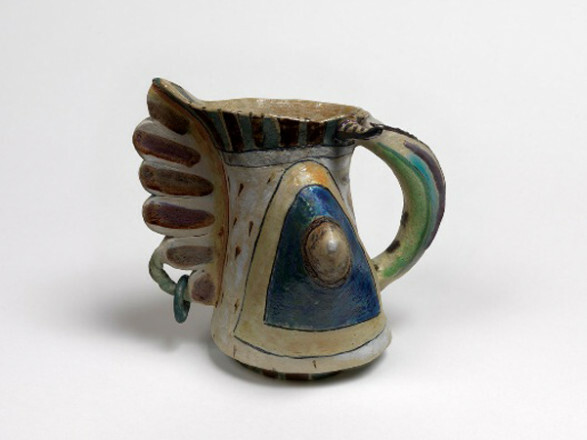 Some have described his work as anthropomorphic and his work references traditional tableware: cups, spoons, and especially teapots as well as funerary objects and jewellery. 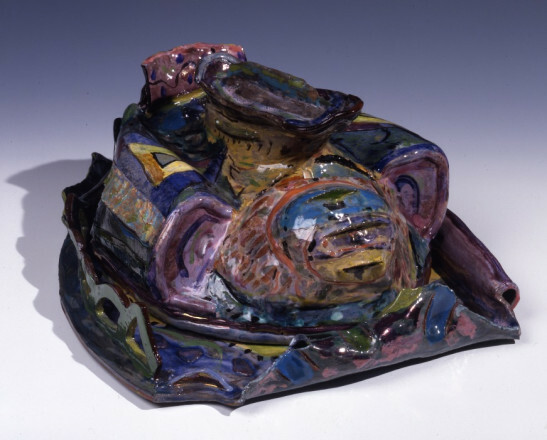 Few have celebrated the plastic qualities of clay more effectively than Suttie in his mutated and multi-layered works. From 1990 his work was on are larger scale, and he created simpler more architectural pieces but with no less attention to detail. 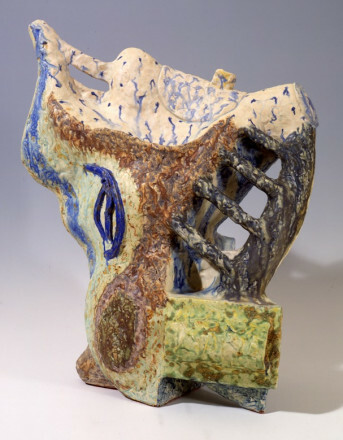 His work has not lost resonance and was included in the Crafts Council touring exhibition Deviants 2007-2008. One of the three major types of pottery, the others being stoneware and porcelain. It is opaque, soft and porous unless covered completely with glaze. The firing temperatures can be low - 800ºC or high - 1200ºC, when it starts to vitrify, becoming stoneware.